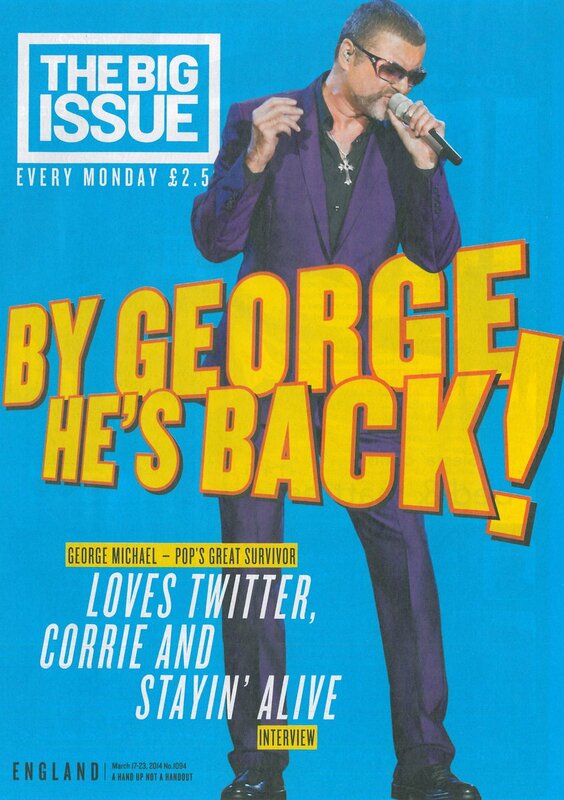 Big Issue magazine interview entitled “By George He’s Back! 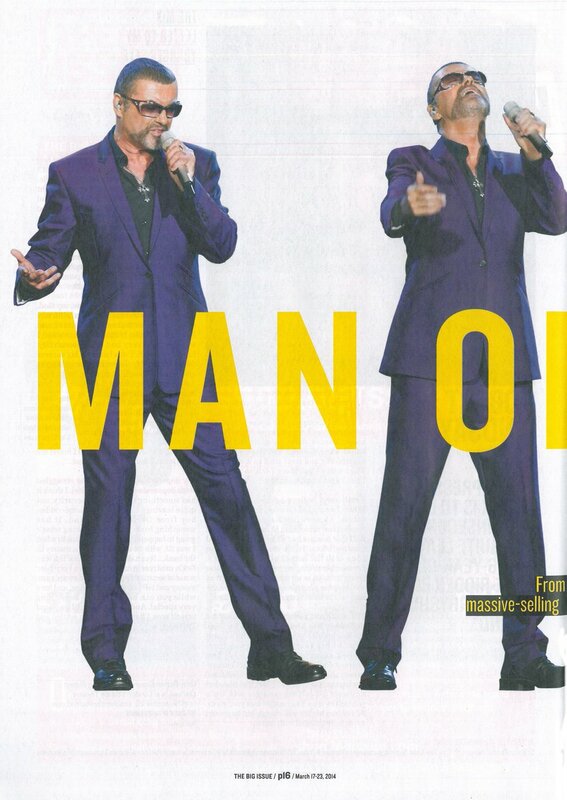 George Michael – Pop’s Great Survivor” published on March 17-23, 2014. Interview by Sheldon Sherota. From shuttlecocks to prison and a brush with death, pop’s most interesting massive selling outsider is returning with his songs reimagined using an orchestra. He explains why. 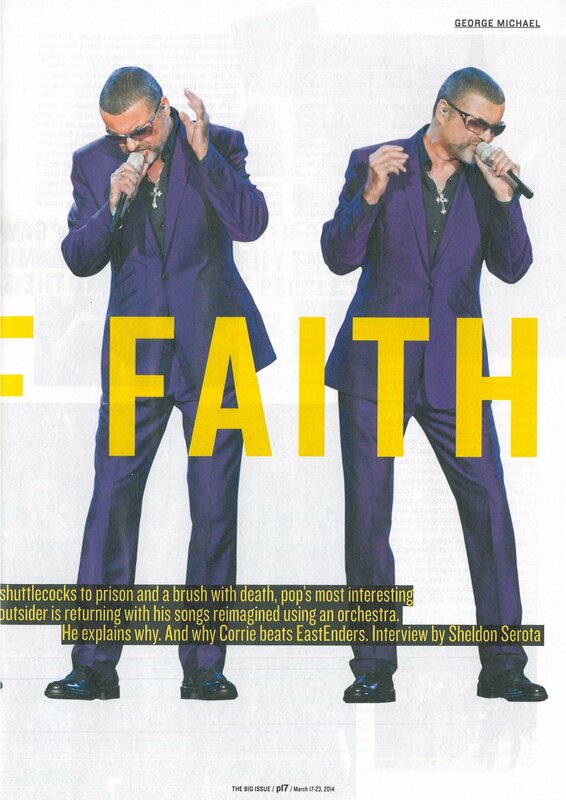 And why Corrie beats EastEnders. What does he remember of that time? “Enough,” he says grimly. “It was a pretty horrible experience and I don’t really want to go into too much detail.” What few people knew at this time, though, what’s the George was literally fighting for his life and that for a couple of weeks the outcome was uncertain. He continues: “To last in this business you do have to be talented but you also have to be smart. You need the self-awareness that lets you know what your fame is and what you represent to people. And you have to really try not to lose touch with reality. I’ve never done that. My friends are not in the business and I don’t have an entourage. I think if you are surrounded by yes-men and live in that world for long enough there’s definitely a danger that you could lose your art, Teen idol, pop legend, recovered drug user, ex-prisoner, survivor … Prepare to add to that list disco king. Why not? 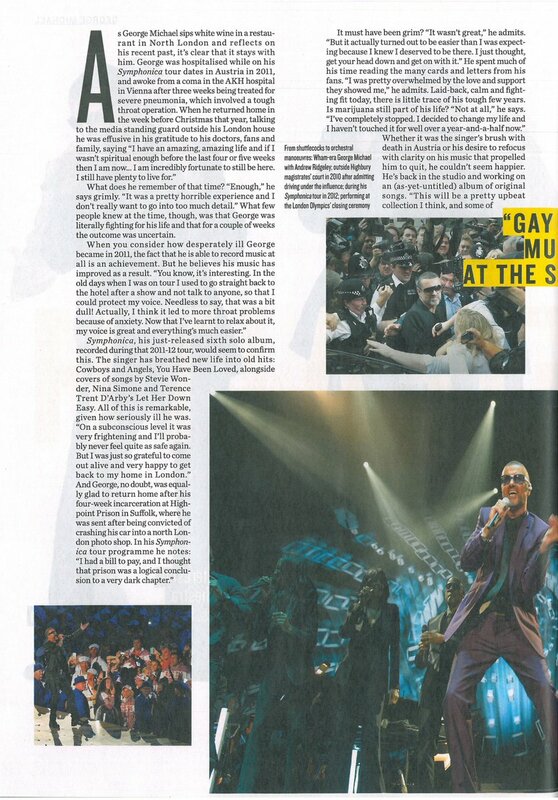 love and I will always love George Michael, the most beautiful and talented of his generation.